ICEM 2018 Opens in One Month! We are exactly 4 four weeks away from ICEM 2018. Have you registered yet for your delegate ticket? Don't miss the opportunity to participate in three days of learning, networking and fun! Visit our website for details on the conference programme, networking events, prices and more. 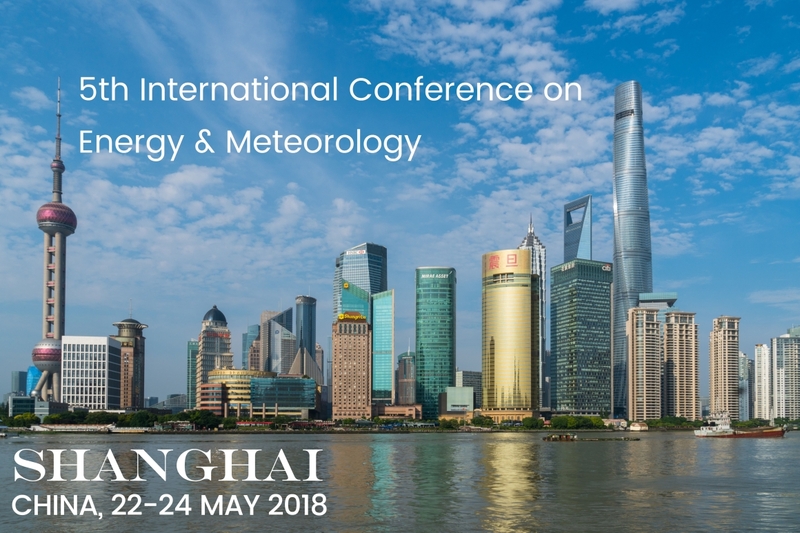 The World Meteorological Organization (WMO), the Global Framework for Climate Services (GFCS), the World Energy & Meteorology Council (WEMC) and the Beijing Climate Center are hosting a Training Course on Climate and Energy, which will run from 18 – 20 May 2018, prior to ICEM. We have an exciting line up of plenary speakers! All work and no play? Not at ICEM! We have a great social programme for ICEM 2018 which includes drinks receptions, river cruise & conference dinner, and Shanghai sightseeing. View the programme for more info!